Helen Marie Aaker-Wolf, 72, Mandan, died Monday, July 9, 2018, at Sanford Health, Bismarck. A funeral service will be held at 10:30 am on Friday, July 13, 2018, at Cornerstone Community Church, 111 East Wachter Avenue, Bismarck, with Rev. Keith Ritchie officiating. Burial will be at Lakeview Cemetery, Cathay, ND. Visitation will be held from 5 to 8 pm on Thursday, July 12, 2018, at Cornerstone Community Church, Bismarck, and will continue one hour prior to the service at the church on Friday. Helen was born August 24, 1945, on the family farm in Cathay, ND, the 13th of 15 children to John and Laura (Seibold) Martin. She was raised and educated in Cathay, graduating from Cathay Public School in 1963. She also graduated from Dave’s Hairdressing and Cosmetology in Jamestown. Helen married Roger Aaker on May 29, 1964. To this marriage, two handsome sons, Aaron and Colin “Butch”, were born. Roger’s teaching profession took the family to several locations in North Dakota. Growing up in a small community, knowing everyone was something special to Helen. She had many great stories of the “town kids” coming to the family farm to play softball, kick the can, hide and seek, and end the day with a good home cooked meal prepared by her mom, best known as Mother Martin to all the other kids. Helen learned great cooking skills from her mom and this tradition was carried on by her sons who are excellent cooks. Helen married Steve Wolf on June 6, 1996, making their home in Mandan and brought Steve’s children, Steven and Mary, into her family. 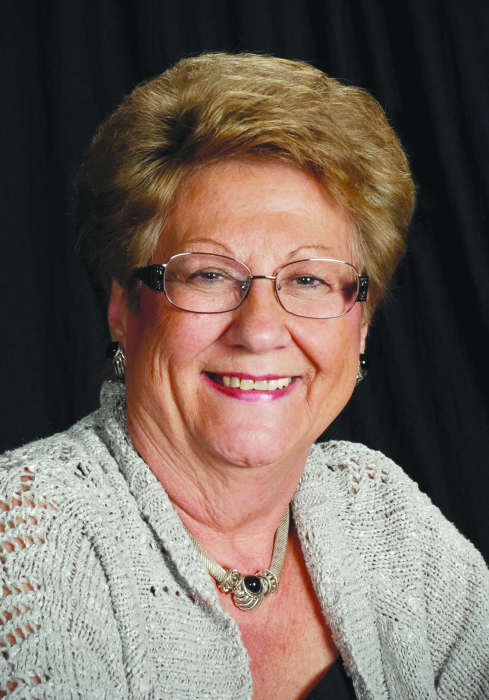 Helen had several professional positions over the years including Kirkwood Mall business office, apartment manager, instructor at Minot Hairdressing College, and funeral pre-planning consultant at Eastgate and Parkway Funeral Homes in Bismarck and later at Buehler-Larson and Weigel Funeral Homes in Mandan. Throughout her career, Helen met many wonderful people who became great friends. She always said “if you love what you do, you will never work a day in your life” and she lived up to that as she loved every profession she had and was dedicated and passionate to that profession. She had other employment opportunities in which she shared her love for people and the need to help others, including at the Abused Adult Resource Center and as a nursing home aid. Helen’s sons were her pride and joy, and her grandchildren and great grandchildren were very special to her. Holidays, especially Christmas, were special because of her family and she loved to host large family holiday dinners. Helen loved working in her yard and flower beds or just sitting on the back deck reading. Steve and Helen also enjoyed travel and seeing God’s creation and beauty. Helen was dearly loved and will be deeply missed by her family and many friends. She is survived by her husband, Steve Wolf, Mandan; sons, Aaron Aaker, Milton, MA and Colin “Butch” (Grace) Aaker, Bismarck; stepchildren, Steven (Twyla) Wolf, Mandan and Mary (Lucas) Ott, Embden; brother, Fred (Alma) Martin, Lisbon; sisters, Ardella Ockert, New Rockford and Bev Hafner, Sykeston; grandchildren, Ashley, Laura, Lisa, and Scott Aaker, Bismarck and Ethan Aaker, Milton, MA; step-grandchildren, Jase, Collin, and Roland Wolf and Roman Ott; great-grandchildren Trevor, Jayden, and Braxton; and several nieces and nephews. Helen was preceded in death by her parents; her first husband, Roger Aaker; eight brothers, baby Gilbert, Chester, Wesley, Leonard, Jimmy, Orville, William, and Merlin; and three sisters, Shirley Truedson, Janice Martin, and Linda Anderson.